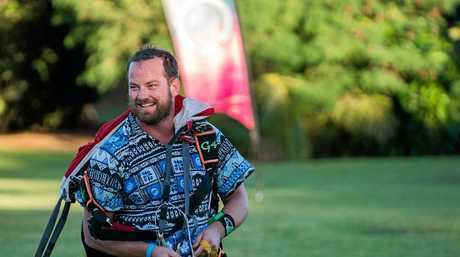 TWEED Heads skydiver Shane Turner has finished in second place in the speed skydiving category at the World Parachuting Championships in Runaway Bay. A relative newcomer to the sport, Turner, a paramedic, shocked the skydiving fraternity when he broke Australian speed skydiving record with three consecutive jumps on Tuesday. 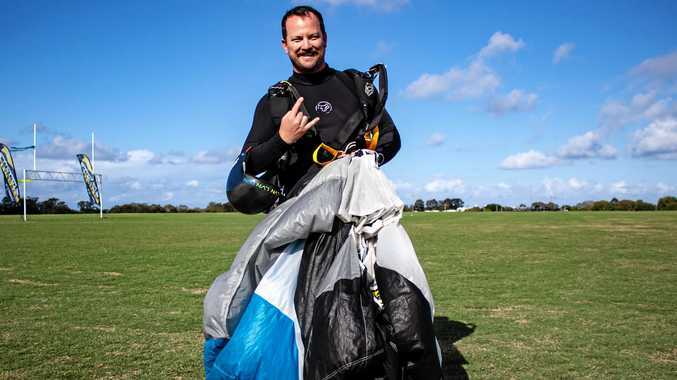 The former Banora Point Primary and Kingscliff High School student broke the Australian speed skydiving record when he posted a speed of 510 km/h on Tuesday morning. His next two jumps that day were even faster, with readings of 514 km/h and 524 km/h breaking and re-breaking his own record. Shane Turner is one of the fastest flyers to ever jump out of a plane. Turner lead for most of the competition, but German Friess Thomas Moritz finished with two strong jumps to just nudge the 35-year-old. An awe-inspired Turner said he loved every minute of the championships. "The experience as a whole, just being here and absorbing the talent and the raw energy that's surrounding this place, is something I'll remember forever," Turner said. "It's certainty something I'll continue to strive for. "It's kind of unbelievable, and it's still a bit hard to understand."